The new master bow from Coda. 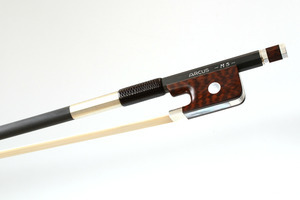 More supple than its DIAMOND cousins, the MARQUISE GS appeals most to players seeking a bow experience in the finest French tradition.GlobalBow® designation ensures that the MARQUISE GS contains no endangered, monitored, or regulated species (wildlife or fauna) and can pass worry-free through international Customs. Materials Declaration Certificate available. Perfect for any travelling player; never leave home without it. 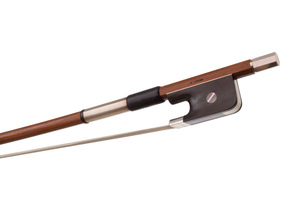 The Coda range of bows are all made in the USA using modern materials to produce bows which offer consistent performance and reliability which inspires confidence and playing enjoyment for all standards of player. The use of man made materials for every component, hair excluded, means the bows are extremely practical in everyday use. The sticks are string and remain straight and with the correct camber. The adjustment mechanisms are precision made for smooth action and easy hair tensioning. 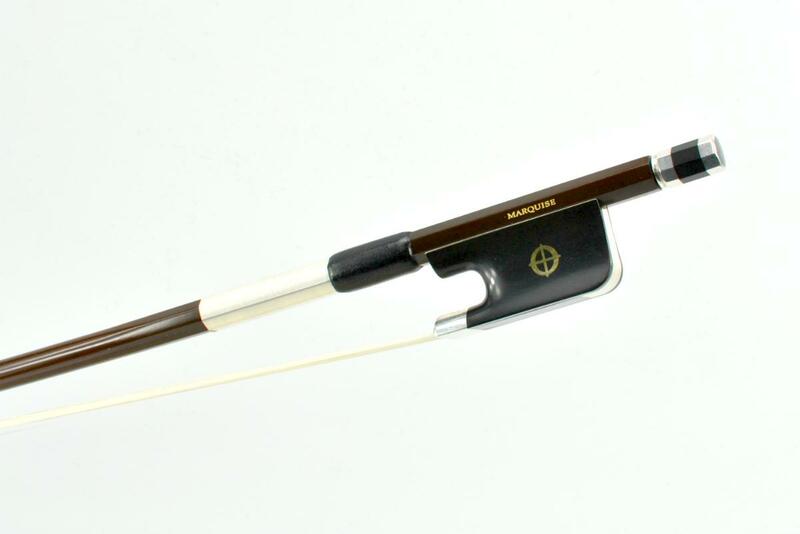 Rehairing is in the traditional manner and any experienced bow maker will have no difficulty in rehairing these bows. Coda bows are our biggest selling bows at their price point and represent excellent value for money across the product range. Xebony frog with Sterling silver mounts.